When Blog visitors continue to increase, it indicates that the Blog must be improved. From starting the quality of content, consistently adding articles, and creating interesting content. 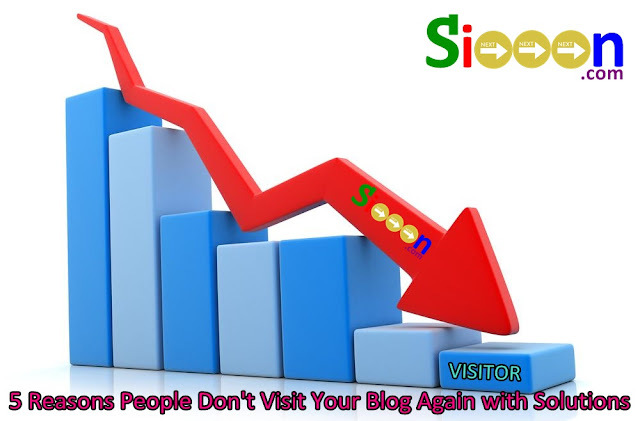 Because if not visitors will come back down or not even return to visit your blog. Some visitors even just read your article once, it becomes a challenge. Keep in mind some reasons why people only visit your blog once or do not want to visit your blog at all. This is a big problem in the world of Blogging because the main purpose of creating a blog is to get a lot of visitors and provide benefits to many people. According to Next Siooon (NS) maintaining visitors is one of the important things in Blogging. Some blogs have boring and uninteresting articles, such as writing with very long sentences. The other mistake is that there is a repetition of writing that makes visitors feel swirling. In addition there are also those who contain information verbally so that visitors will feel bored when reading. To overcome this you should use Images in Articles, short and clear writing, and use language that is easy to understand. A template with a better design has a larger size than the process to access it even longer. Don't use templates that have an attractive but heavy appearance for Blogs. Because if loading an old blog that will make visitors feel bored or assume if the Blog is an error, then visitors usually go and look for other sites. It's useless to use a Good Template but it's not open, because it's just not visible. When a blog has many visitors it becomes an opportunity to make money, for example by working with an ad provider site. This is reasonable because blogs can be used as a means to make money like from advertising. However, do not over-advertise that makes visitors disturbed. For example, when reading suddenly a Pop-Up or Banner appears that blocks. It will irritate and maybe visitors will come out of your Blog. It's useless to put in a lot of advertisements, but visitors decrease, so the results of the monetization of ads will decrease. That's the 5 reasons why people don't go back to your blog, equipped with solutions to overcome it. Hopefully it can be useful for all of you.